Most of the points mentioned below were brought forward to the authorities during the past years but there was no proper implementation. We hope you will consider the proposals and implement them without delay. 1. Although there were beach cleaning campaigns organised time to time the beaches in Arugambay, Passikudah and Nilaweli need more attention in order to make them more user friendly to visitors. Therefore we suggest to implement a permanent beach cleaning program in these areas. Since there is a shortage of labour in the local authorities it is suggested that beach cleaning machines be provided to the said local authorities. 2. Some of the hotels and guest houses operating in the tourist areas are yet to obtain approval from the Tourism Authority. Therefore we suggest that a mechanism be put in place so that all hotels and restaurants can obtain the necessary operational licenses. It is also found that foreign nationals are operating hotels and guest houses in collaboration with locals without having the necessary clearance. 3. Although the Arugambay Surfing point is known all over the world it does not have proper road access. Therefore we suggest that access roads to the beach be properly constructed. 4. The labour force attached to the local authorities in the area is not sufficient to meet the day to day needs. It is required to appoint more labourers to respective local bodies. 5. Passikudah and Nilaweli are designated tourism zones. It is important that Sangamam Kande to Urani and Panama to Okanda be designated as tourism zones. 6. The emergency ambulance service ‘1990’ to be extended to tourism areas in the east. 7. Historical tourism sites such as Magulmaha vihara, Muhudumaha vihara and Kudumbigala be provided with basic facilities required by tourists. 8. Research and identify new and potential areas for tourism and develop the same; e.g. Vakarai, Kanchkudichchiaru, Kokkadicholai and Thoppigala mountain areas with tourism potential to be developed. 9. Awareness programs may be conducted to hotel staff, tuktuk drivers, park guards and training tourist guides and safari jeep drivers needs to be carried out. 10. Make arrangements to have the presence of more tourist police officers in all three areas by upgrading the existing police posts as tourist police stations. 11. The Helitours have ceased operating daily flights to Jaffna and Trincomalee. This service needs to be recommenced with regular flights including Ampara and Batticaloa. 12. All life guards to be provided with more facilities. 13. Convert Arugambay bridge street lights to operate using solar power. 14. Tourism information centres to be opened in all three areas. 15. Establish a hotel school in Arugambay for the youth in Ampara and Monaragala. 16. Lagoons in the area including Arugambay and Batticaloa Lake are yet to be utilised for tourism purposes. It is suggested that these resources be developed to cater to the tourists. 17. Although Arugambay is a world famous surfing destination there is no star class hotel in the area. It is suggested that an investment promotion drive be carried out to encourage investors to set up star class hotels. 18. Tourism area in the east does not see visitors from the Middle East, China and India. A special promotion to lure guests from these countries has become the need of the hour. 19. Stern action must be taken to eliminate drug abuse in the area. Special police intelligence sleuths must be deployed the tourism areas for this purpose. 20. Guest houses and restaurants established within the 20 metre zone from the beach need to be relocated thus allowing greater space in the beach. This may be carried out after paying compensation to the respective parties. 21. It is very essential to carry out awareness workshops for Government officers in the area on the importance of tourism to the country and how to cater to the visitors. 22. 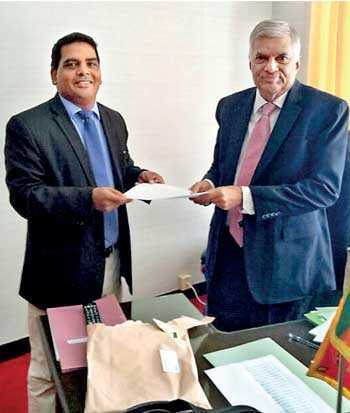 While we welcome the Enterprise Sri Lanka program launched by the Government we suggest that bank officials be instructed to facilitate the tourism industry by way of simplifying development loan approval systems for the tourism industry. 23. Fishermen operating in tourism areas need to be educated and informed regarding the importance of tourism and some in Arugambay and Passikudah areas needs to be relocated after consultations with the fishing community. 24. The power supply of the tourism areas has to be stabilised as often the power supply in these areas is interrupted. 25. As there is a necessity for a constant supply of clean water in Arugambay and Passikudah areas it is either required to construct a water supply project or to set up a sea water desalination facility. 26. Eco tourism development activities need to be carried out in the east. 27. Firefighting machines need to be provided to all local authorities since the UDA approval for construction of hotels above three floors is not given if the firefighting equipment is not available. 28. Development of minor crops such as fruits and vegetables and cottage industries in the area needs to be developed. 29. The trains operating to Trincomalee, Batticaloa do not have luxury compartments hence it is required to provide the same. Railway extension project is proposed from Manampitiya to Mahaoya Ampara and Pottuvil. 30. At present there is a levy of nearly 30% as taxes on the domestic airline fares. It is suggested to remove all taxes on domestic airlines till tourism traffic improves to the east. The Chamber of Tourism and Industry is thankful to the Minister of Tourism and the Government for their efforts to develop tourism in the country and will be fully committed to support the Government’s initiative.